The Arizona Department of Education released school letter grades (A-F) for the 2017-18 school year. Salt River High School received an “F” letter grade, which was calculated using results from our student AzMERIT tests and other data. Salt River Schools appealed, which the Arizona Department of Education denied, and the SRHS final letter grade decision was officially announced December 28, 2018. Click here to view the presentation given to parents and families by the Superintendent on January 14. This is a reflection of the state standards students learn in our schools. An “F” highlights the urgency we face to provide students the education they deserve. 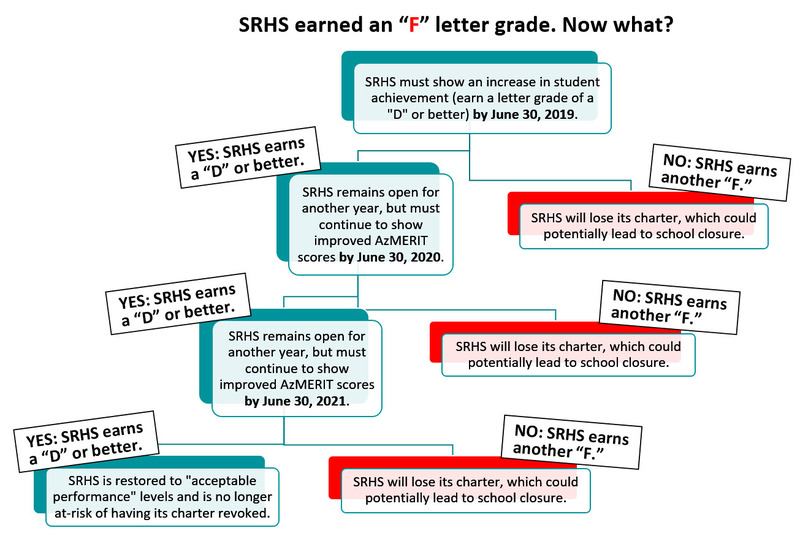 Furthermore, if SRHS doesn’t show an increase in academic achievement—a “D” letter grade or better—by the end the current school year (June 30, 2019), the school will lose its charter, which could potentially lead to the closure of grades 7-12 at SRHS. 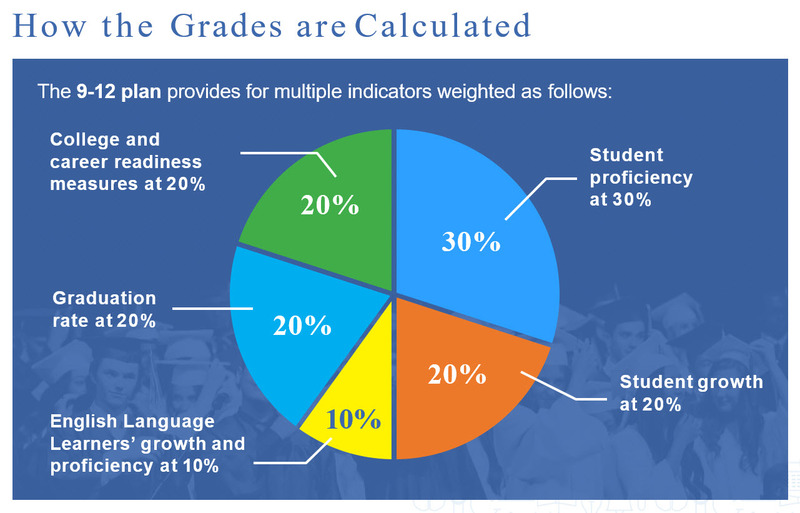 If, however, SRHS increases its student achievement, it will need to show similar improvement during both the 2019/2020 and 2020/2021 school years; should either of those school years result in an “F” letter grade, the charter will be revoked. Our process for drafting this plan included facilitation of a comprehensive needs assessment, a root cause analysis, and development of needs statements and desired outcomes. From this information, we have developed goals, strategies, and action steps for the SRHS Integrated Action Plan. We are currently in the process of refining many aspects of SRHS, including the master schedule and tutoring models, and will establish metrics and procedures for implementing, monitoring, and evaluating these and other strategies during the current 2018-19 school year. Our current academic focus is strengthening student literacy. SRHS saw improvement in this area during the latest round of NWEA testing, which can be attributed to our teachers effectively using the new English Language Arts curricula introduced this school year. This follows the goals outlined in the Division’s 5-year Strategic Plan, which also calls for the adoption of new math and science curricula over the next two school years; a 30-day public input period will begin later this month for math adoption. Additionally, focused and ongoing professional development for the Division’s instructional staff will ensure new concepts and materials are taught to each student’s individual learning needs. Finally, Salt River Schools will partner with AdvancED Systems Accreditation to ensure maximum accountability toward improvement beyond state standards. Efforts like these require an “all-in” approach, including from student families, in order to support achievement by aligning all practices with student learning, organizational growth, and total stakeholder engagement. Click here to view the Consent Agreementbetween Salt River Schools and the Arizona State Board for Charter Schools, which includes more details regarding improvement steps and requirements. Click here for more information regarding AzMERIT, including tips for families to help their children succeed. Superintendent Dr. Louis Laffitte, Jr. 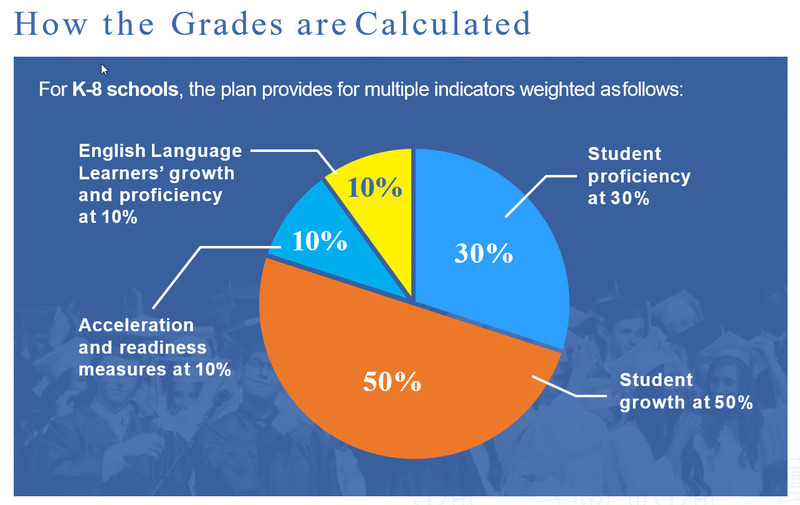 Acceleration and Readiness Measures, which consists of several measures including chronic absenteeism and the improved growth of subgroups (economically disadvantaged, special education, etc.). 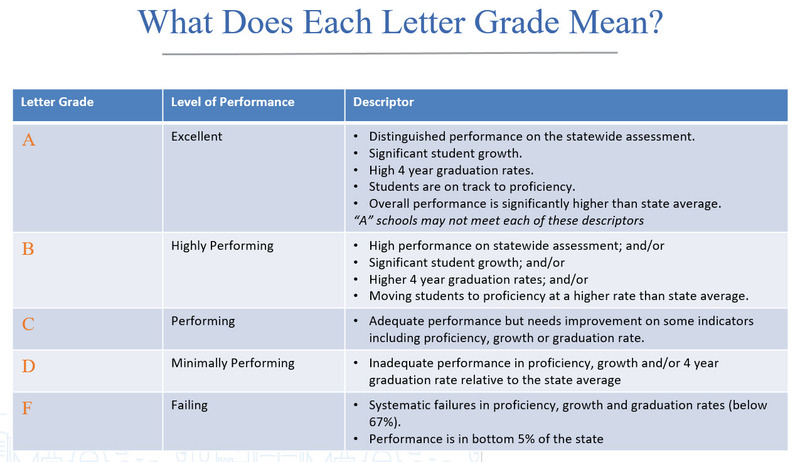 Click here to view larger images, including the full letter grade explanation PowerPoint from the Arizona State Board of Education.